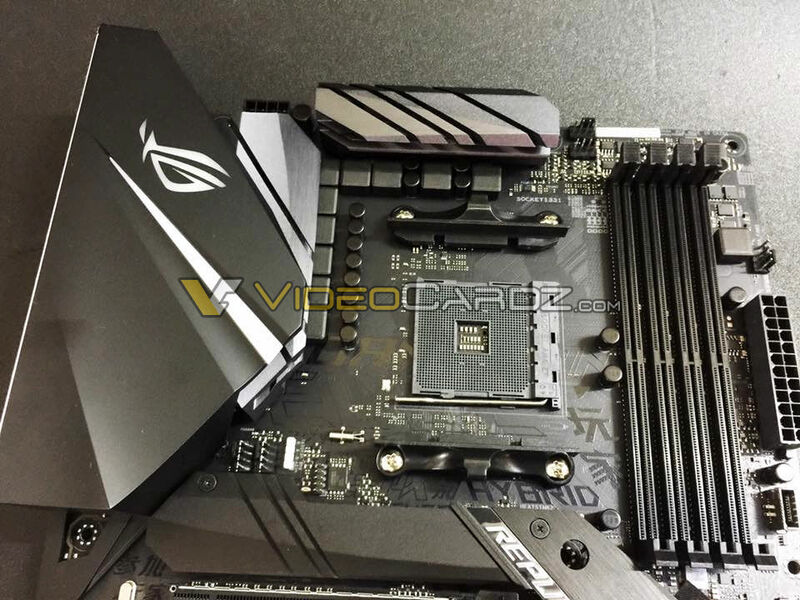 UPDATE: We have been told that the motherboard shown on the photograph is ROG X470-F STRIX. ORIGINAL STORY: An anonymous tipper has just sent us a picture of upcoming ROG X470 motherboard from ASUS. The motherboard has no branding, except for “Republic” and “Hybrid”, so we are not sure if this is a motherboard from Crosshair series, STRIX series or something new like Zenith. There are some Chinese letters on the board, so it could also be designed for a specific market.